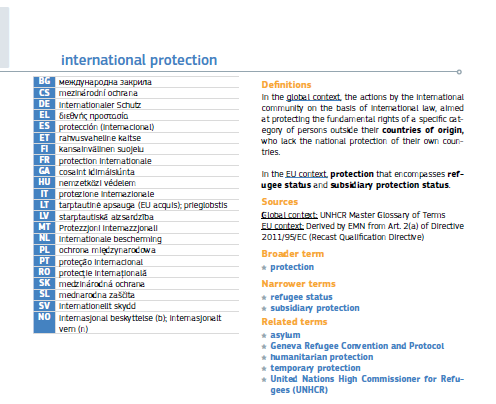 The purpose of the European Migration Network Glossary of terms relating to Asylum and Migration is - inter alia - to improve comparability between EU member States through the use and common understanding of the terms and definitions contained therein. The EMN Glossary is intended to serve as a useful reference document for EMN National Contact Points and their National Network members, as well as for other practitioners in the field of asylum and migration. Migration and asylum policies at EU and national levels have quickly evolved since the first EMN Glossary was published in January 2010. 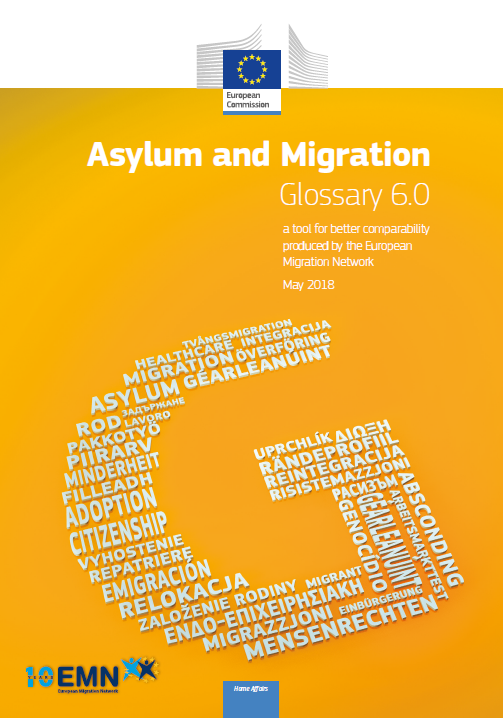 In order to provide reliable and updated information and to adjust to the latest migration and asylum related developments, the EMN Glossary is regularly updated (both in printed version and/or online). It can be consulted and downloaded here. Relation to other terms and concepts included in the Glossary (such as synonym, broader term, narrower term, related term). Whilst the EMN Glossary is developed in English, it has been translated into other languages by some Member States. The EMN Glossary version 2.0 (2012), version 3.0 (2014), or version 5.0 (2016) is available in Finnish, French, Italian, Lithuanian, Portuguese, Spanish and Arabic.